Imperial Brown Ale Aged in Bourbon Barrels for 17 months. 2016 vintage. This one has me very confused since all of the other reviews are so positive. My wife and I had a long argument about whether the smell or the taste was worse but as it warmed I came into agreement with her that it was definitely the nose that was the worst of it. Does this have sorrel in it? It's in the name but otherwise wasn't mentioned on the description of the beer or in other reviews. I don't actually know what sorrel tastes like well enough to know if that was the problem or if it was something else. It didn't seem to be infected (at least not with any of the usual culprits) but something here is completely overpowering all the caramel and other notes everyone else mentions in their reviews. I wish I was better at descriptions but I've really never had anything that tasted like this before and I've got no idea what to call this thing. The beer did make my wife do some hilarious shivers in disgust, so that was a positive at least. Poured into a snifter from a 375ml bottle and consumed from about 50 degrees all the way to room temp. It is a very dark brown to black, with a ruby tint. There was a moderate fizzy tan head, but it disappeared quickly. Tons of bourbon on the nose. Vanilla, caramel, toffee, and a hint of chocolate. Coming from a bourbon man, it is a bourbon monster. Significant alcohol and burn up front with vanilla, and toffee, charred wood, and a little coconut followed by some toffee/carmel, burnt sugars, and some very noticeable, fairly bitter chocolate. There is a lingering malty flavor with a decent bitterness. Also, as it warms I notice some slight nut flavor. This one reminds me of Lanthrone. 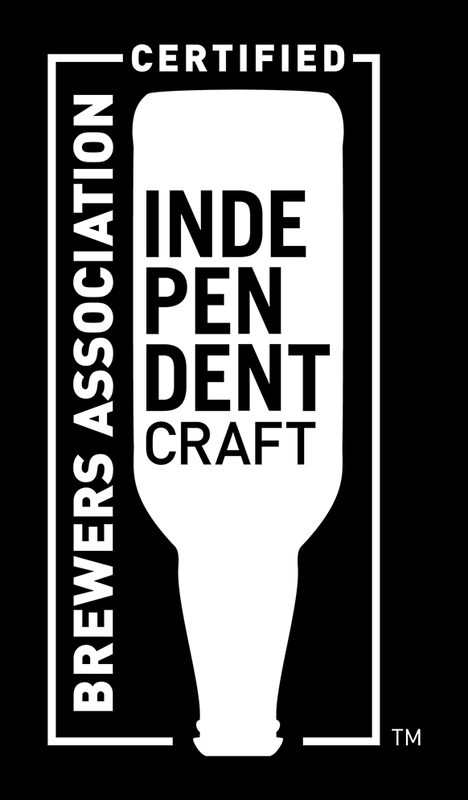 I enjoy the crap out of it overall, but objectively, I don't think it is as balanced as most of their barrel aged beers. Still excellent, but I would like to try it with a little less time in the wood. Pours deep dark brown with mahogany highlights and 2 fingers of tan foam. Aroma is led by the spicy bourbon with underlying hints of chocolate, wood, toffee, and molasses. Body is big, thick, and oily. A bit heavy for a brown ale obviously, but it works with the bourbon. I was expecting this to basically be a stout or porter that they called a brown ale, but it does maintain the nutty milk chocolate notes of brown. I was a little skeptical, but I should have know better. Just about every time Jackie O's fills a barrel, magic comes out. Ahhh, such good bourbon; 17 months in the barrel definitely shows. Nice brown ale base, very smooth. Tasted from bottle. Pours dark murky brown with tan head. Aroma is sweet bourbon, caramel, toffee and nutty. Taste is moderately to heavily sweet and a little boozy. Flavors of bourbon, nuts, toffee, maple, caramel, and hints of vanilla. Very well done BA brown. Not sure how I haven't rated this, given that I've had it on draft and from bottles 5-6 times in the past two years. Anyhoo. Even a vigorous pour from the 375 mL bottle produces only a thin layer of head that immediately fizzes away. 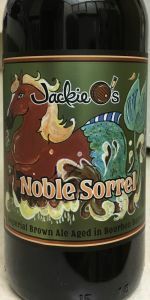 The nose and palate are more nutty and earthy than other Jackie O's barrel-aged offerings, befitting the brown ale base. Still a pleasant booziness with a little bite to it. Yet another stellar BA offering from the Beer Gods that are Jackie O's brewers.